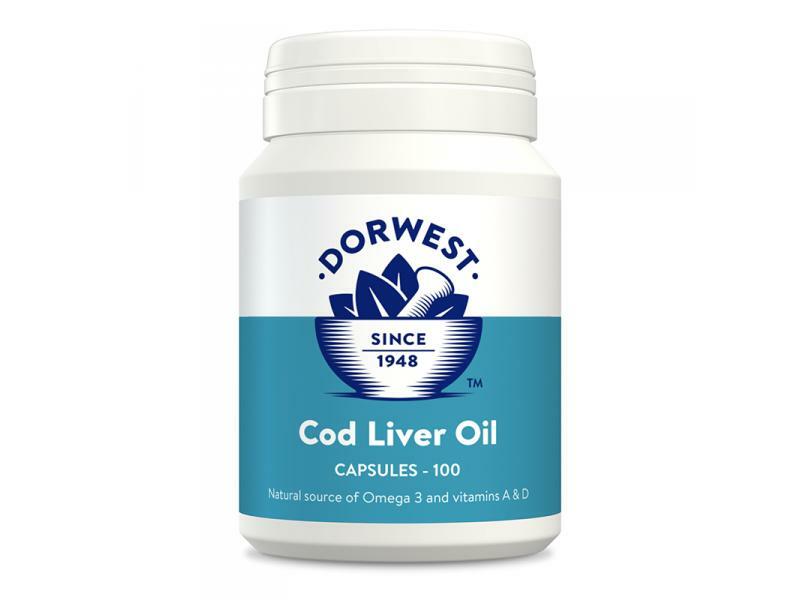 The breakthrough in understanding of the benefits of cod liver oil really came with the discovery of the functions of omega 3 fatty acids found in fish oils. Omega 3s are important in regulation of body processes, such as inflammation. They are also important in heart health, in the development of the eye and brain in young animals and in skin and hair condition. This slow release capsule ensures your pet gets the benefits of omega 3 over time without any unpleasant taste. It’s is an excellent source of Vitamin D, needed for strong bones and absorption of calcium and vitamin A which is also important for skin and hair quality. 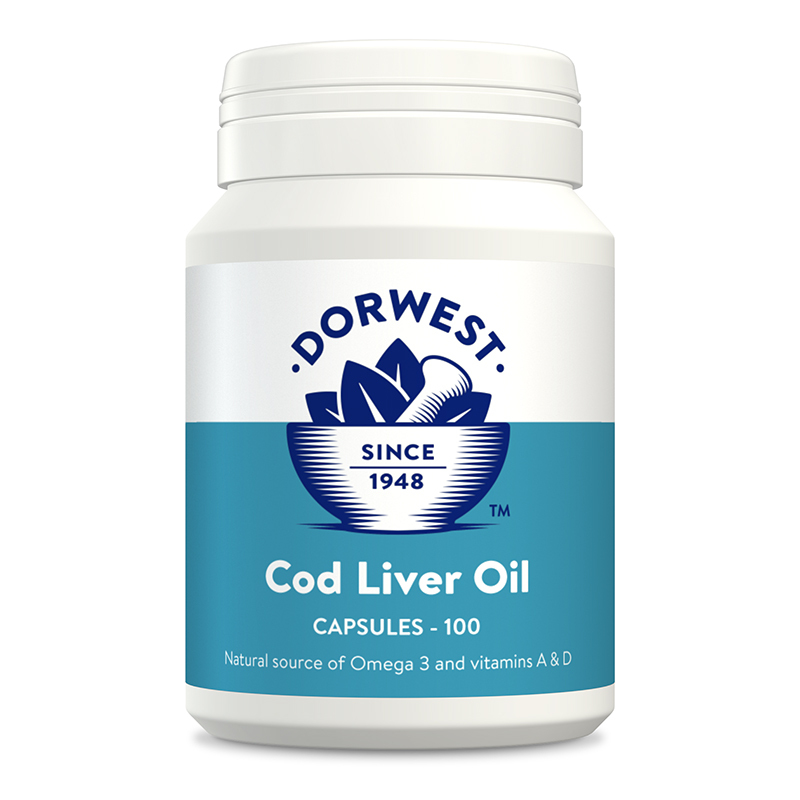 Below are some recent questions we've received regarding Dorwest Cod Liver Oil Capsules, including answers from our team. My dog is 6kg would these tablets be ok ? And how many a week ? This supplement would be fine to give to your dog and may be especially helpful over the winter months. For a small dog under 10kg the recommended dose is 1 capsule per day. The only other advise is that it is not recommended to be given at the same time as Wheatgerm Oil as the benefits of both oils may be reduced, however these oils can be given on alternate days to provide a range of benefits.